As we speak, I’m off to BLOBFEST in Phonexville, PA (Blobfest is a three-day event hosted by The Colonial Theatre, at which the famous run-out scene was filmed in the movie The Blob, celebrates. Blobgeeks come from far and wide to party it up, dance in the streets and throw popcorn). Yes, we got our tickets to the famous Run-Out…right on the day/time they were released, and good thing, too, because the event sold out in under 10 minutes flat! This year’s theme is The Clash of the Kaiju and will feature three showings of The Blob paired with Mothra, King Kong vs. Godzilla and The Giant Spider. Get the dirt on what’s goin’ down this year and plan your trip here. To check out my visit last year, go here. To feed your obsession with things gelatinous (who knows if it’s really true, but it’s still kinda cool), check out this. 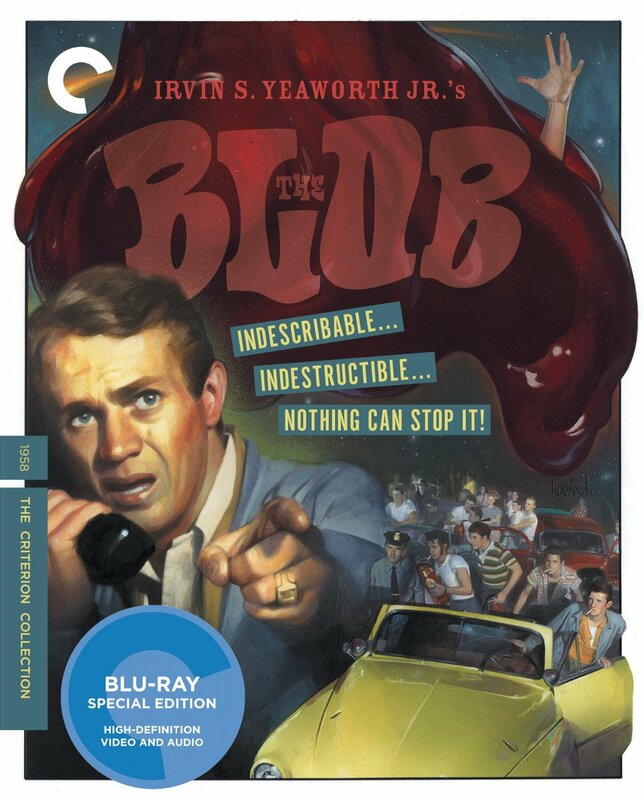 To get your own copy of The Blob for your own private fest, go here: http://amzn.com/B00AQ6J4XM (this is the Criterion edition with lots of awesome special features and the best edition to date so far; if you have to own a copy, get this one. It’s worth the bucks). The cover of the Criterion Collection’s The Blob Blu-Ray. 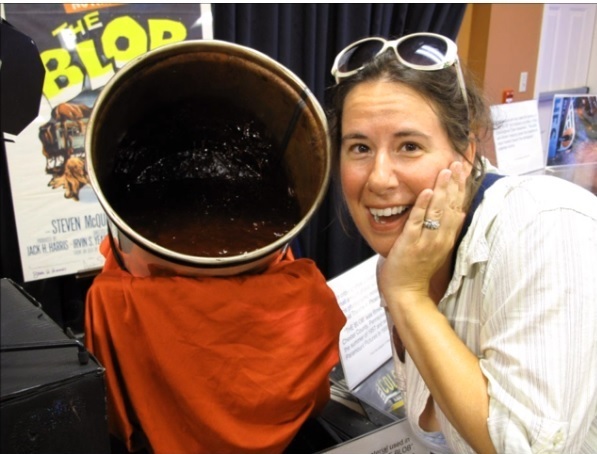 Posted on July 11, 2014, in Deep Thoughts & Fun Stuff and tagged Blobfest, Phoenixville PA, The Blob, The Blob based on a real event, The Colonial Theatre, where was the town where the movie The Blob was filmed. Bookmark the permalink. Leave a comment.